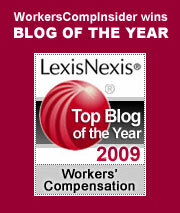 Workers Comp Reform: Who Pays? Ohio: Managing Care or Managing Cash? As part of the mid-1990 reforms, Ohio requires all employers to sign up with a managed care organization (MCO). This was supposed to privatize the handling of claims and lower costs. They did indeed privatize managed care, but as an article in the Cleveland Plain Dealer makes all too clear, they did not lower the costs. The paper estimates the cost of reform at $1.6 billion. In fact, since the MCO system began, the overall number of claims in Ohio fell 48 percent, but the annual cost to manage the system, including the MCO component, increased by $167 million. Even when you account for inflation, this is an increase of 30 percent. The costs per active claim increased from $442 to $914 in constant dollars. The land of Arnold underwent some radical reforms a couple of years ago. The preliminary results look good. Costs to employers are down substantially (although nowhere near levels in neighboring states) and insurers are actually making money. Is it party time in tinsel town? Not quite. We read in the LA Times that reforms have come at the expense of specific benefits. While California was never known for its generous payments to injured workers, the reforms drastically reduced permanent disability benefits. When you have Stanley Zax, President of Zenith National Insurance, the state’s biggest private comp carrier, calling for a restoration of the benefits, you know you have a problem. The article cites the example of a former star athlete who lost a leg in a construction accident. Under the old law, he would have received $122,812. Under the reforms, his benefit is less than $30,000, and the insurer has turned down his request for a prosthetic leg, rehabilitation training and physical therapy (all of which would increase the likelihood of his returning to productive work). Over the past 15 years of comp reform, as you review the changing statutes from one state to the next, there is one common denominator: a reduction in benefits paid to injured workers. In Massachusetts, perhaps the most successful of all the reform projects, the state dropped from being the 3rd most expensive to an overall ranking around 45th. However, the average weekly wage benefit was reduced from two thirds to 60 percent. In retrospect, the reduction seems a bit gratuitous. The reforms would have been just as effective without this indemnity cut. We’re all for reform. But let’s not balance the books on the backs of injured workers, who bear little, if any, responsibility for the comp crisis of the late 1980s. The best reforms create a fair and responsive system, with as little “friction” as possible. Reforms need to focus not just on medical rate schedules and insurer protocols, but on employers themselves, because without educated employers, the system cannot work effectively. Employers must respond to the injured employee in a supportive manner, document the incident, secure prompt treatment and speed recovery through the use of temporary modified duty. Employers are in a unique position to manage the recovery process. If they blow it, the tools of managed care, utilization review and good claims adjusting will not achieve the goal of reducing costs. This entry was posted on Tuesday, September 12th, 2006 at 3:05 pm	and is filed under Insurance & Insurers, State News. You can follow any responses to this entry through the RSS 2.0 feed. Both comments and pings are currently closed.